Let's qualify that to "some"
Nexstar's statewide television news network carried a story about campus protests on its 5:30 PM statewide news last night. "They cling to guns or religion or antipathy to people who aren't like them"
Describing the West Virginia legislature? They get bitter, they cling to guns or . . . This morning's "newspaper" did carry the AP article on the House of Delegates passage of a bill that eliminates the prevailing wage on public construction projects. Since the AP didn't cover it, the Intelligencer didn't mention any additional legislation. 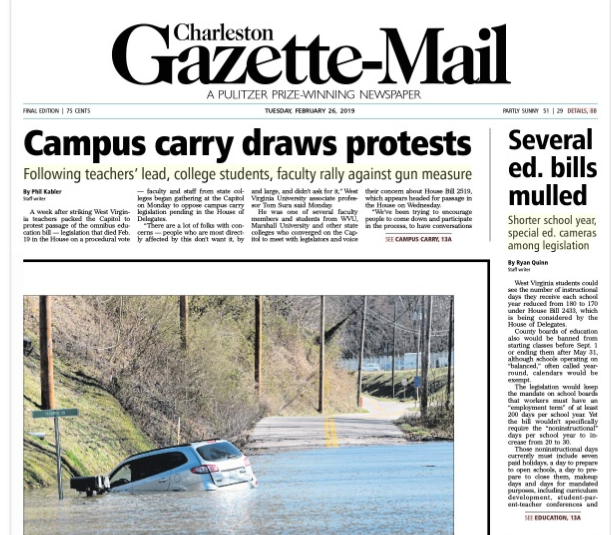 According to the Charleston Gazette-Mail, however, the . . .